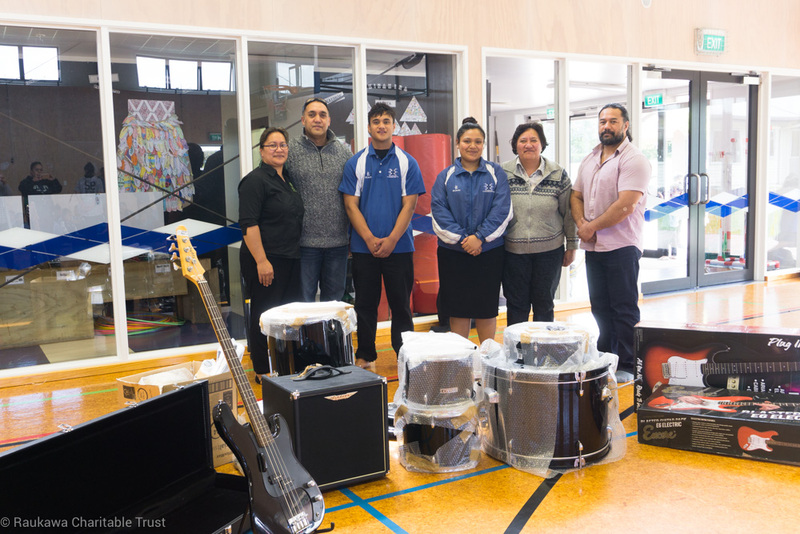 On Wednesday 18 October Raukawa Charitable Trust (RCT) staff visited Te Wharekura o Te Kaokaoro Pātetere to award the prize to the winners of the RCT’s Te Wiki o te Reo Māori Waiata competition. 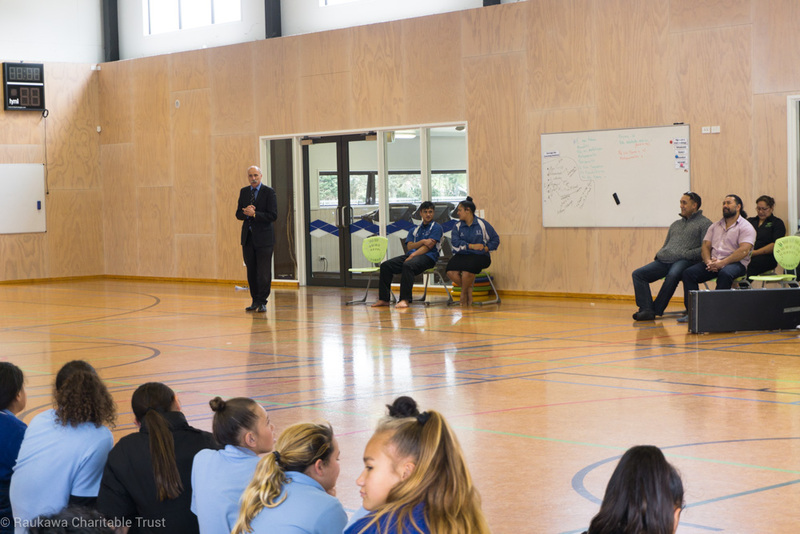 As part of RCT’s celebration of Te Wiki o Te Reo Maori wharekura from Putaruru and Te Awamutu were invited to submit an original waiata. 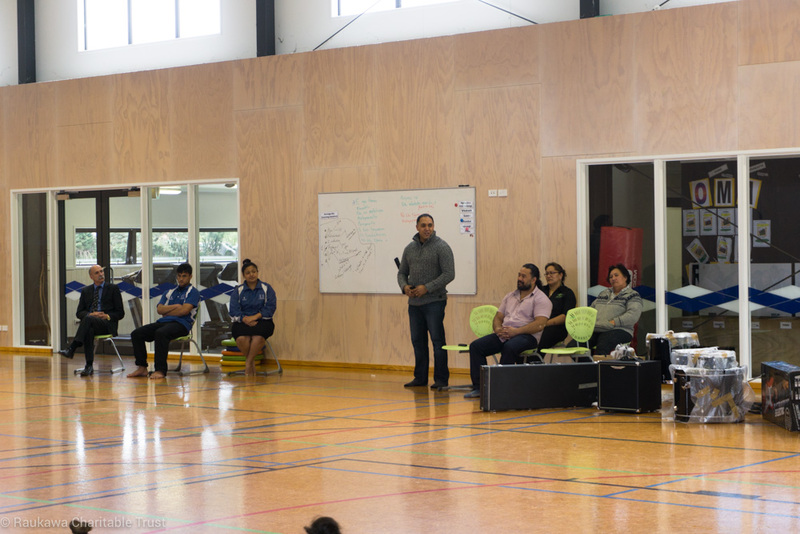 The waiata had to promote the theme of the week namely “Kia Ora Te Reo”. 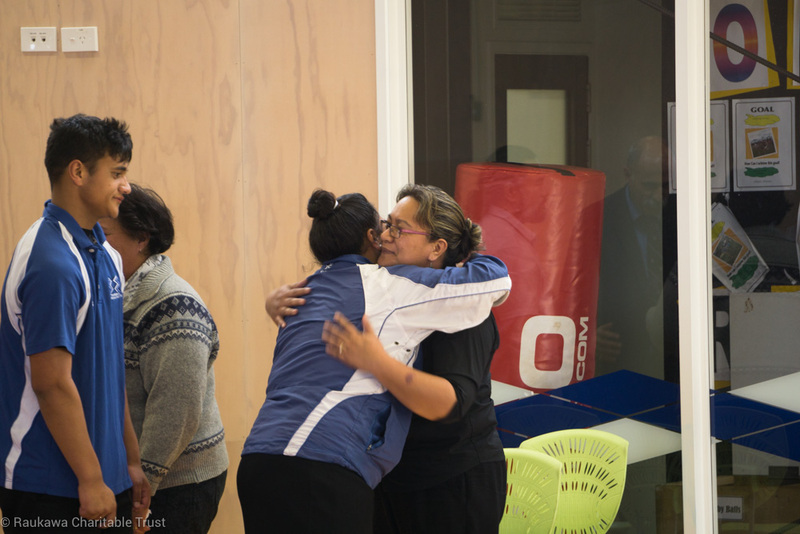 This year’s winning entry not only achieved that, it also highlighted the preciousness of te reo to the youth of today. 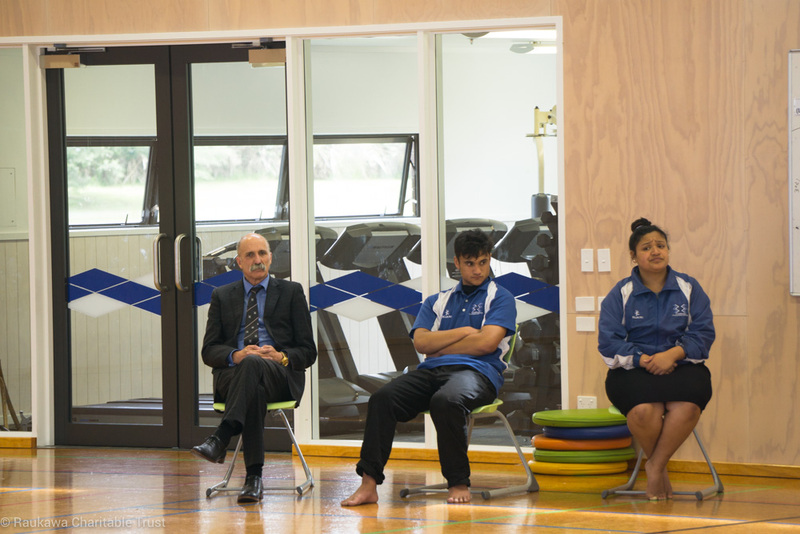 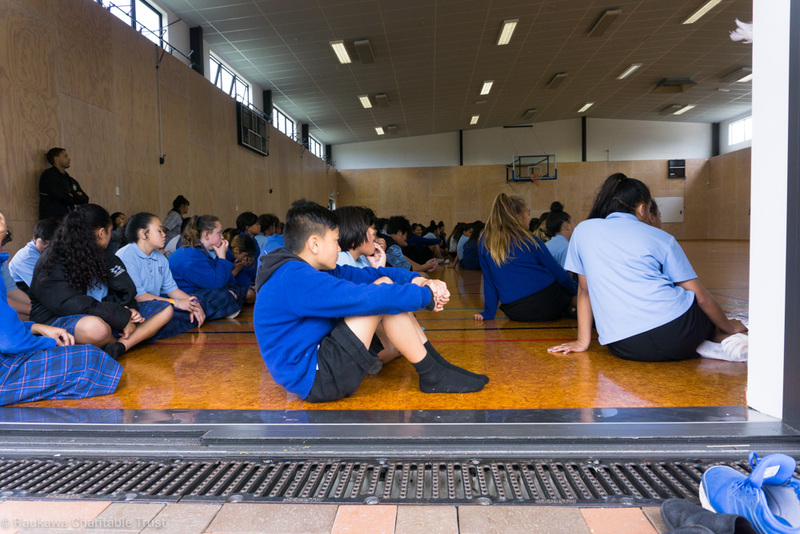 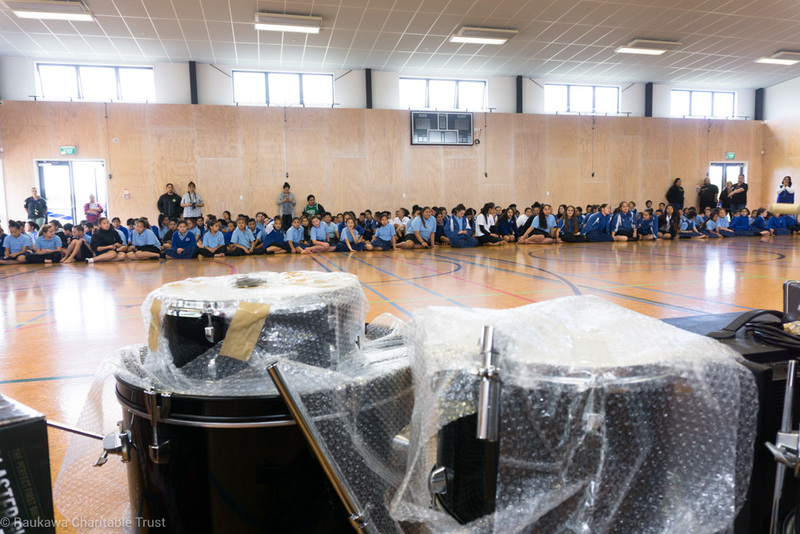 The waiata ‘Te Kuru Tongarewa’ was composed by the school students, with Tyriq Senior writing the lyrics and Gabriel Anderson the score. 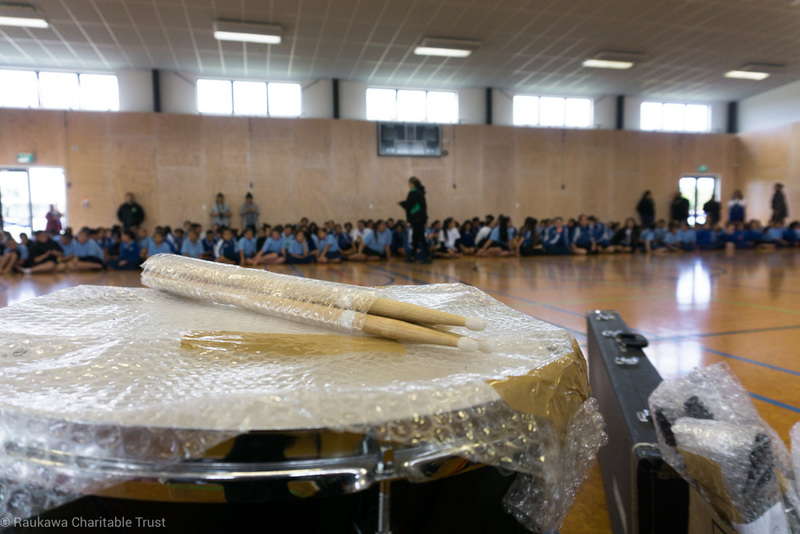 The prize for the winning school included a drum kit, two electric guitars, and a bass guitar. 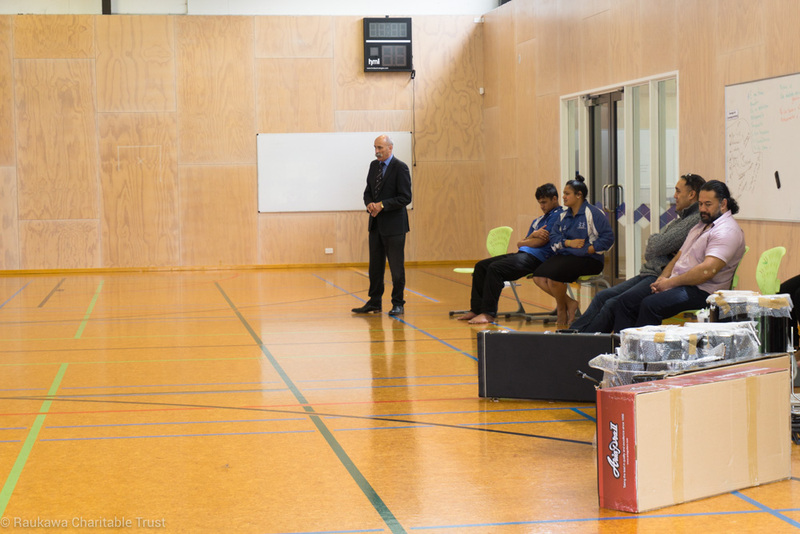 Arran Koopu, kaiako from the Wharekura said the tauira were wrapt to have won. 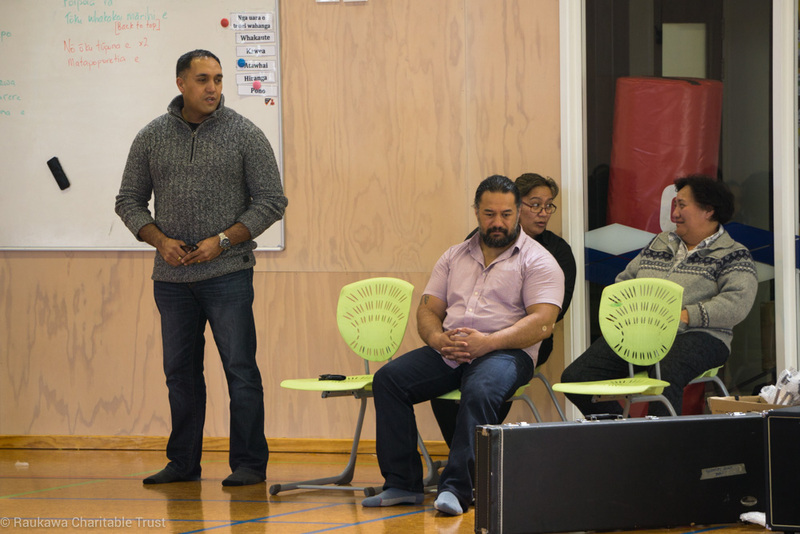 Acting Kakara Whakarei Group Manager Nigel Te Hiko says he has confidence in the future of the reo in the rohe. 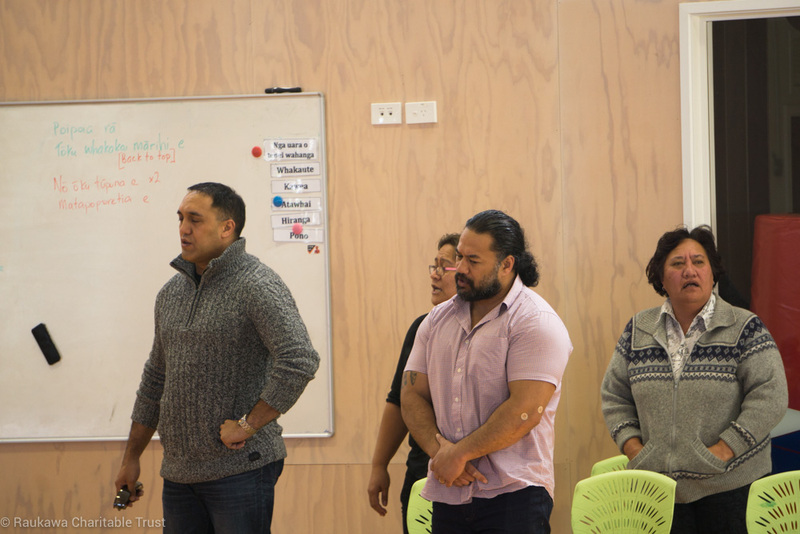 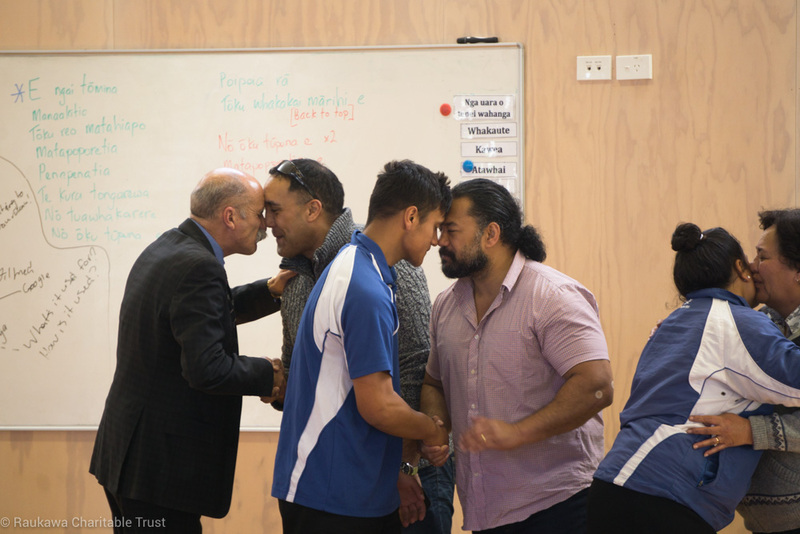 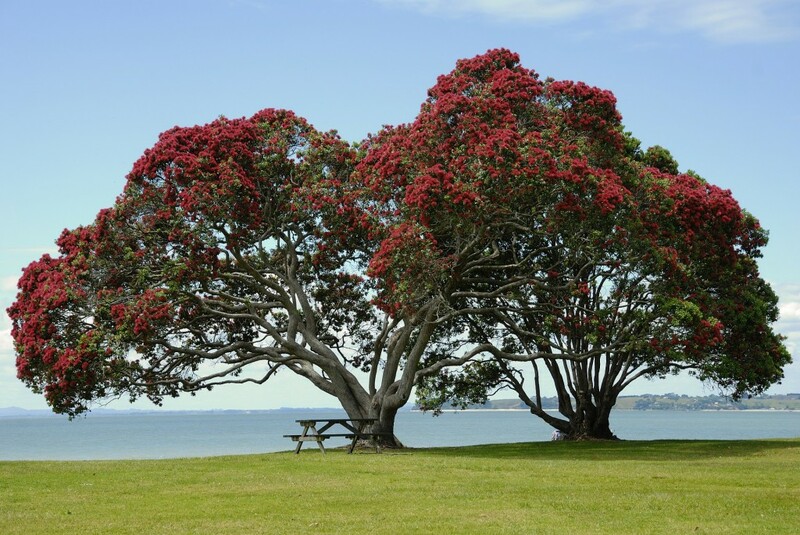 The kupu for the winning waiata can be downloaded here.